At Fiskars, we aim to make the everyday extraordinary with our range of technologically smart garden tools. For generations, our experts have been developing state-of-the-art products ranging from our iconic orange handled scissors through to garden shears and axes. Made from high-quality materials and with Scandinavian design, each and every tool has been carefully considered, and is always easy to handle. Whether you’re cutting and pruning hedges or trees, chopping wood or taking care of your flower-beds, you have the right tool for the job with Fiskars. 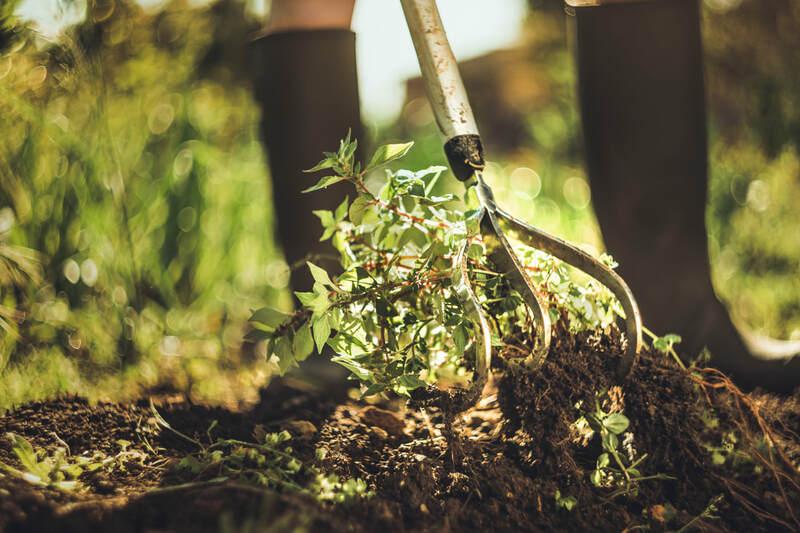 We can proudly look back on centuries of experience in manufacturing blades, cutting and garden tools, which are dedicated to making gardeners’ lives easier. For many of us, gardening is a therapeutic source of relaxation and comfort, and is a way of escaping our busy lives. Home to the happiest people on earth, we are tapping into our Finnish roots by encouraging you to escape your busy life and invest your time in the mentally healing activity of gardening. We aim to inspire you to slow down and take some time to relax outdoors thanks to our range of tools which guarantees ‘0% stress, 100% happiness’ in the garden. To champion this, we are offering an exclusive spring offer. From 1st March to 30th June, if you spend £50 on any of our garden tools at a participating retailer or garden centre, you can get a £10 voucher to spend at the same retailer if you are still happy after 60 days. If £100 is spent, you will receive a £20 voucher. What’s more, in the unlikely event that you are unhappy with the product, it comes with a 60-day money back guarantee! To help you bring your outdoor space to life, we have added more easy-to-use tools to our popular Xact™ range. Designed to make gardening even more enjoyable, the collection now includes leaf rakes, soil rakes, cultivators and nursery tools, which join the existing range of digging spades, forks and a weed puller. The right tool makes any job easier. We have developed each gardening tool in the Xact™ collection with that ethos in mind, making sure you are able to find the best gear for you. By offering different sized options for ultimate control and precision, there is truly something for everyone, no matter how tall or short you are. Aiming to make jobs in the garden quicker and easier to tackle, the digging tools in the Xact™ range have a unique push-pull handle, which also features a comfortable SoftGrip™ material, enabling you to put more power into your work with less pressure. What’s more, half of the metal in the shaft is replaced with Fibercomp™ to make it extra lightweight, whilst also offering our usual high quality, strength and functionality. With perfect ergonomics, the latest collection helps to reduce back and muscle strain, and also improves digging efficiency. Spring is the most exciting time to be a gardener. As you turn to your gardening to-do list, we have launched an extension of our successful Light range, which has been designed to make work lighter and trouble-free. The ergonomically designed tools in the Light collection are built to make gardening chores easier and reduce back, wrist and hand strain. The new selection includes nursery tools, cultivators, a weed puller and forks, so you can tackle every kind of gardening task with ease. As the name suggests, the Light range is extremely lightweight, thanks to its FiberComp™ and anti-corrosion material. This means the tools are simply easier on the back for the older gardener, those who don’t like using heavier tools, or who are new to gardening. As they are so light, they can also encourage little gardening enthusiasts to help out too – so people of all ages and strengths can get involved! Being so light in weight doesn’t mean we have compromised on quality – in fact, far from it. With durable, ergonomically designed steel blades on the new Light pruners, shears and loppers, each product offers a long-lasting performance, whilst also delivering superior cutting precision. And, on tools such as the spade and fork, you can benefit from extra comfort thanks to the D-handle, as well as a softer grip to insulate from the cold. Our state-of-the-art PowerGear™ X range features ground-breaking cutting tools that are designed to deliver an exceptional performance. Virtually unbreakable, this robust range of innovative tools has been carefully considered and rigorously tested to enhance power, precision and longevity of each product, whilst also guaranteeing great results. Each tool in the collection features the PowerGear™ mechanism to give three times the cutting power than standard tools, which offer impressive strength for bigger, more efficient cuts with less effort. First-class in its field for effortless snipping, our PowerGear™ X pruner is cleverly designed for ease, efficiency and comfort. Adorned with the iconic orange detailing for increased visibility, and a locking mechanism for safe practice, the pruner is superior in every sense. The innovative cutting mechanism combined with its advanced and incredibly durable FiberComp™ body, results in a lighter, weather resistant tool, which makes the PowerGear™ X pruner perfect for those of you who are looking to painlessly prune with maximum efficiency. Tackling unruly hedges with incredible ease, our advanced PowerGear™ X hedge shears design incorporates ergonomic principles with advanced technology, resulting in a lightweight hedge shear with more balance and control than ever before. With three times the power in every cut and durable PTFE coated precision ground blades, the PowerGear™ X hedge shears expertly combat wild branches. The shears also feature a SoftGrip 3D contoured orange handle that is not only easy to spot but provides a greater grip when using in the garden this spring. Tough woody branches can be a real challenge for anyone. With the help of our advanced technology and ergonomic design, our PowerGear™ X lopper is the ideal tool for the job. Further enhanced by features such as precision ground stainless steel blades with additional coating designed to reduce friction, and robust lightweight aluminium handles, it is easy to see why our PowerGear™ X lopper has the best-in-class cutting power. Like every tool in our PowerGear™ X range, the loppers can be dismantled and maintained with ease, providing gardeners with powerful tools designed to last. The latest addition to the PowerGear™ X range, our telescopic tree pruner is a must-have tool, and can reach even the tallest trees in the garden. Extending to an impressive 6 metres compared to the standard 3.5 metres, this cleverly designed tree pruner epitomises our dedication to providing exceptional gardening tools that are fit for the job. Designed with a 230˚ cutting angle, so no unwanted branch is left untouched, our PowerGear™ X telescopic tree pruner removes the once unreachable, overhanging branches with straightforward ease, so you can stretch to new heights in the garden. Whether you’re a tradesperson, keen DIYer or landscaper, having the highest quality tools in your toolbox is essential. Following extensive research to find out what people value most in their hand tools, we have launched a brand new Hardware and Hammer range to specifically meet the demands of those who want high performance, easy-to-handle and durable hardware. The new collection consists of hammers, club hammers, axes, scissors and knives of varying sizes and designs, as well as a clay pick and garden saw. Created to stand the test of time, the range also prevents potential injury or strains. All of the tools in the Hardware and Hammer range have been designed with an ergonomically contoured grip to give the feeling that the product is an extension of the hand. With a perfectly balanced shaft added into the mix, the range offers perfect control and less shock when using the tool, thanks to the industry-leading vibration-reduction system which absorbs impact by up to 70%. This means that, in practice, they will offer extra protection to hands, arms and wrists – so you can hammer harder than ever before with less pain, and less strain! Each and every product in the range is as hard-wearing as it is hardworking. To provide lasting strength, we have used a construction process and design to offer greater durability, which also enables you to work stronger for longer.